I went into ‘Trumbo’ expecting a slightly dull, somewhat stoic look at Hollywood’s past transgressions during the Communist scare at the height of the cold war. 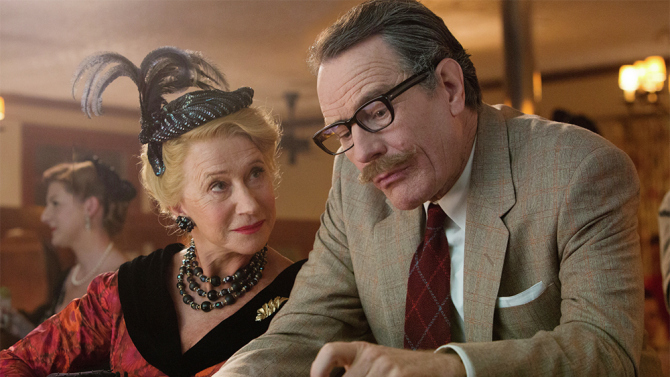 However, the movie ‘Trumbo‘ I watched, was interesting, heartwarming, infuriating, lovely and, surprisingly very funny. I may have trouble writing this review because there are only so many ways to say “it’s so, SO good. Go see it!”… but I’ll give it a try. The movie, based on the book of the same name by Bruce Cook, follows the life of one of the most highly influential people to ever be on the Hollywood blacklist. For over a decade he lived his professional life as a pariah because he was not willing to let Hollywood, or the government tell him what he was allowed to believe. Dalton Trumbo wrote some of the best movies of his time, movies long considered to be classics: ‘Thirty Seconds over Tokyo’, ‘Roman Holiday’, ‘The Brave One’, ‘The Deerslayer’, ‘Spartacus’, ‘Exodus’, ‘The Way We Were’ and over 60 others. Many of his scripts were written under faux names and delivered to studios by mail so that they would not be seen fraternizing with a known communist. His resilience and humor, given the odds, are the real stars of the film and show you what it means to be an American, which is to never stop fighting for what is right. 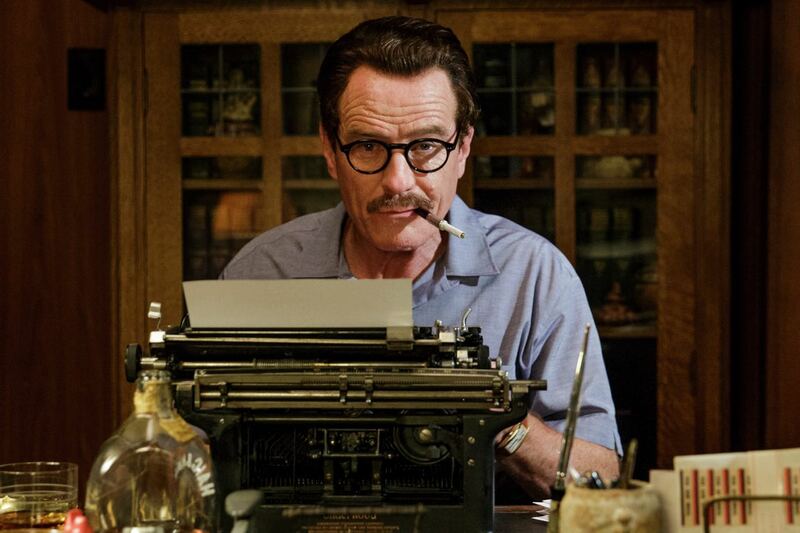 Bryan Cranston plays Trumbo with such charm and wit, that you get swept along whole heartedly with all of his ideas and schemes. The supporting cast, who get to be a part of his wild plans, are the perfect foil for both his good and bad qualities. There is not one misstep in the film’s casting or acting. Highlights are Diane Lane as his wife Cleo, who somehow manages to be utterly stunning and believable at the same time; Louis C.K. and Alan Tudyk, who play fellow blacklisters Arlen Hird and Ian McLellan Hunter respectively, both known for being funny but pull off the heavy emotional issues that come with being an outcast beautifully; John Goodman, who plays studio head Frank King… and if he and his baseball bat aren’t your new favorite power couple then you are wrong. A lot of focus is put on Trumbo’s family and his career in the film but neither feels like a distraction or out of place. The only complaint from me was an editing choice to cut a scene (of the utterly unflappable Helen Mirren) a little short so you lose some time to process the f-bombs she drops. There are more than a few scenes that I wanted someone to freeze frame and make into a poster for me, they are so beautifully shot. 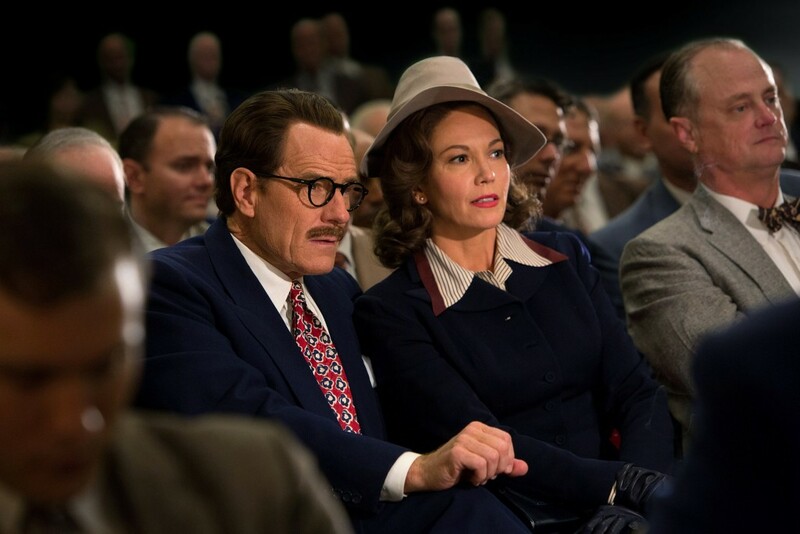 At the end of the film you see the toll that this age of fear and mistrust has taken on Trumbo, on his family, the other blacklisters, and those that did what they had to do to avoid the blacklist. But throughout the film, they blacklisted writers keep their humor and optimism. You may not have this much fun, while being ashamed for the past of a nation, and watching a historically based movie ever again. One of the highlights for me was the end credits, where you’re treated to family photos of the real life Trumbos, and one short video of the real Dalton Trumbo giving an interview with CBS around 1960. He is asked what he will do with his statuette if he wins an Oscar for Spartacus and his answer sums up everything wonderful and heartbreaking about this film and about or own history. 5 Out of 5 Stars – Highly Recommended! This entry was posted on Friday, November 13th, 2015 at 3:02 pm	and is filed under Film, News. You can follow any responses to this entry through the RSS 2.0 feed. You can skip to the end and leave a response. Pinging is currently not allowed. On a scale of one to ten, how would you rate the happiness of your marriage?